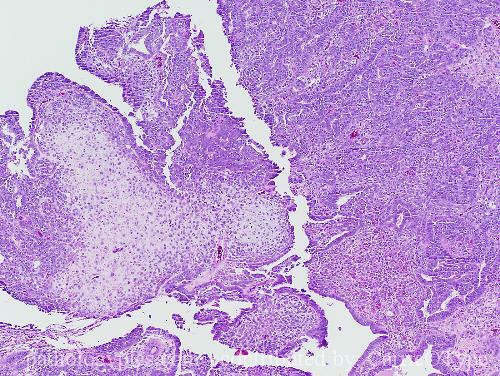 Additional Info: In carcinosarcomas, there is malignant stromal differentiation within an endometrial adenocarcinoma. The stroma may differentiate into various mesodermal components including cartilage (as is seen in this case). Despite the heterologous differentiation, both components are thought to arise from the same cell.